I should admit that Wagner is not my most favourite opera composer, nevertheless, understanding that it might be caused by insufficient knowledge, I am trying to close the gap by fitting in some more Wagner into my exploration journey now and then. 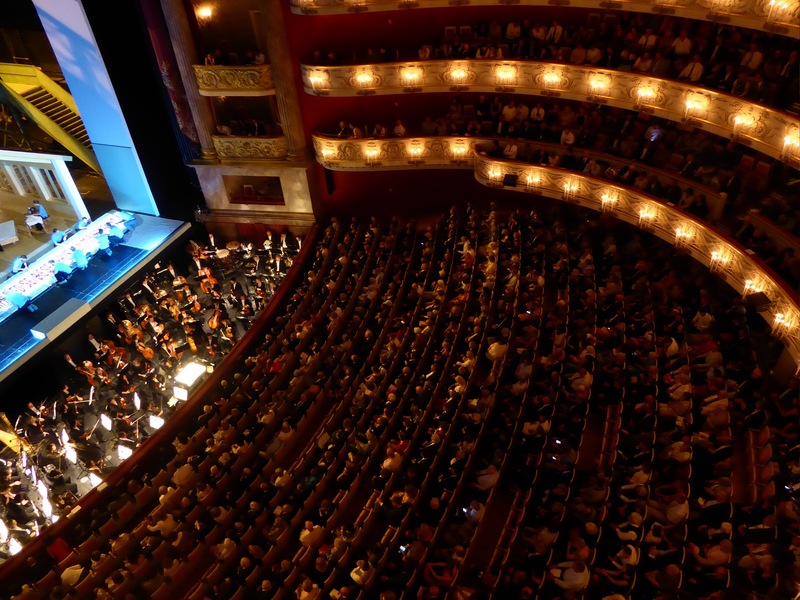 Munich Opera Festival offered a great opportunity to fit in a week long operavacation schedule two well-known Puccini, Wagner and two completely new operas for me. Lohengrin mostly intrigued with promised cast starring Klaus Florian Vogt, Evgeny Nikitin, Evelyn Herlitzius and Marcus Eiche. First observation arriving at the Nationaltheater for another sold out performance was a crowd of people offering tickets for sale, that was a considerable change from the previous night of Tosca – it might have been Germany – Italy EURO 2016 game effect, I hope. Also, the audience is different – more mature, more masculine. Most of conversations during intermission in the bar were going on about regie and staging, some about vocal performance of the artists. 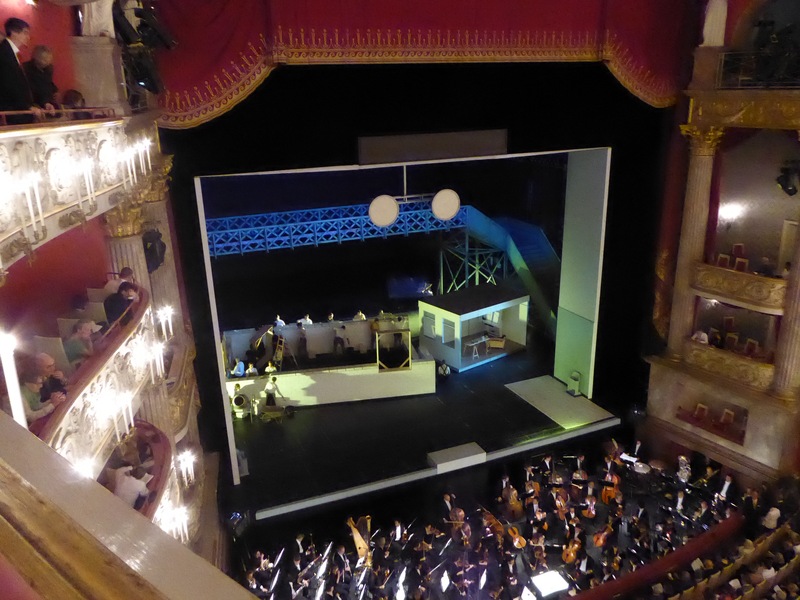 Funny observation of last night came from a view to the parterre from above before last act, revealing tens of empty seats at the most expensive rows – obviously preference given to football over opera performance. The biggest difference was observable at the stage door – no hundreds of fans queuing to get a glimpse and a selfie, probably because of football and pouring rain. I have to admit as well that not being huge Wagner fan, and not knowing libretto intimately, it is very hard to follow storyline with german overtitles only, thus at moments I got conquered by heat in the audience and was on a brink of falling into a kingdom of unconscious. 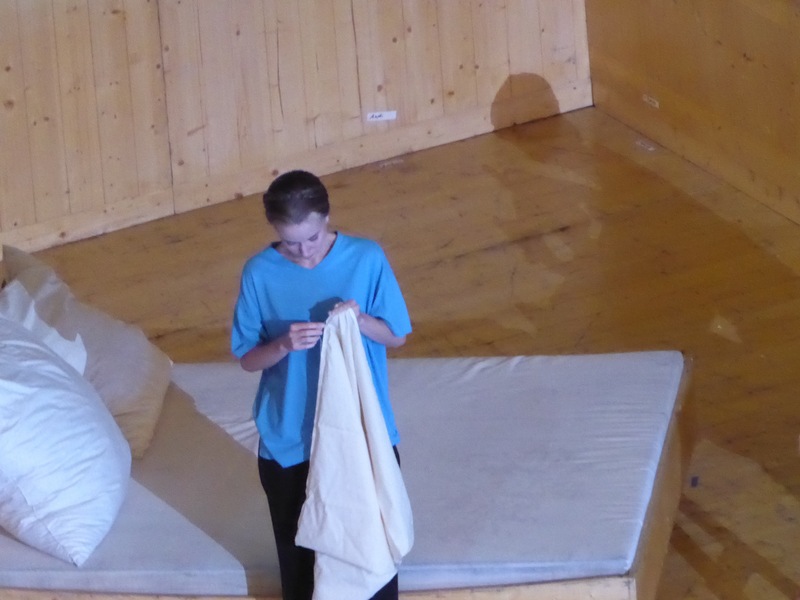 That changed in the last act waiting for “In fernem land” and more dynamic development of the score itself. 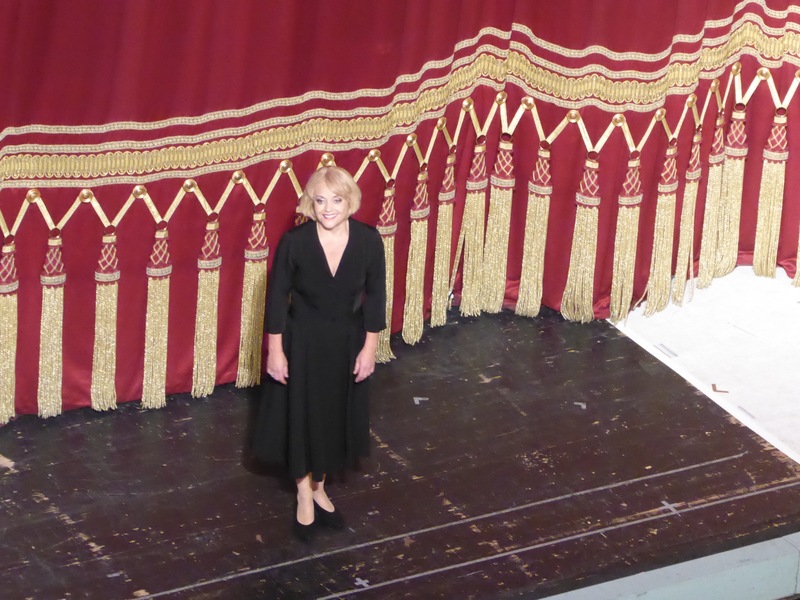 Despite the obstacles, tiredness from the heat wave and imperfections of my own knowledge, the performance in overall was very good, with some outstanding contributors, who got well deserved standing ovations and a crowd of devoted fans, cheering and demanding reappearance for curtain calls of the cast. One of the main contributors for last night performance was Lothar Koenigs and Bayerische Staatsorchester, producing well-balanced sound. 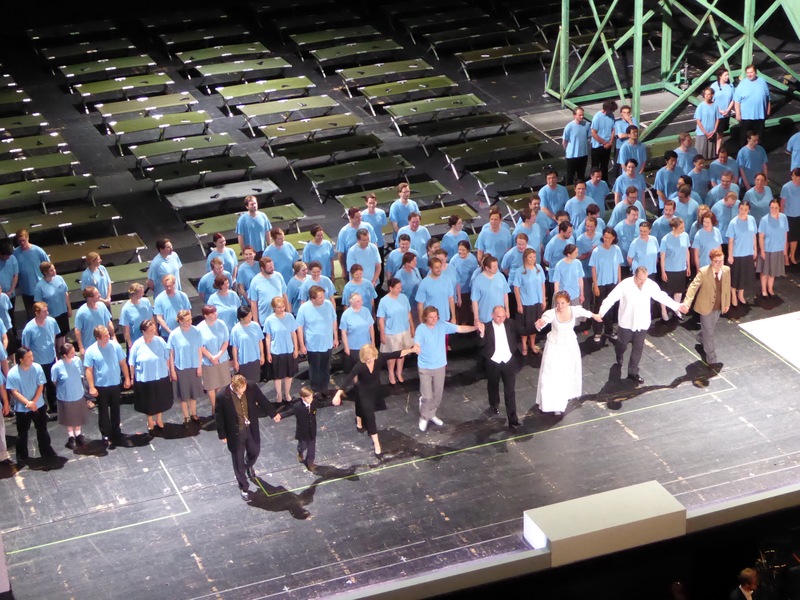 Interesting detail was a quiet appearance of the conductor at the beginning of Acts 1 and 2 thus avoiding traditional greeting and immersing audience into Wagnerian world straight with dimming lights. Trumpet extras in the second and final acts from galleria and top side loges were complementing the sound and creating fuller immersion effects. Lohengrin is a very romantic character, carrying his secret through the most of the opera, and revealing it at the end only. 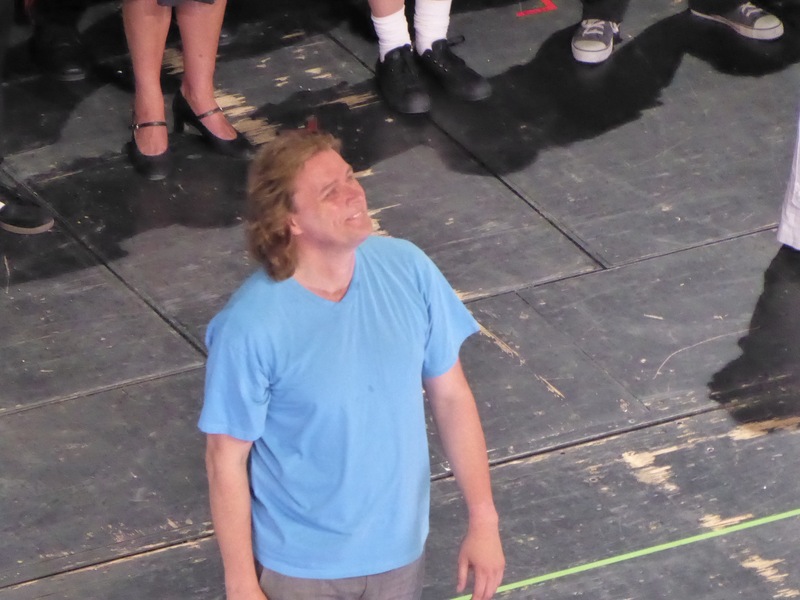 Klaus Florian Vogt fits very well to the role – both vocally, since his timbre is soft and easy flowing, as well as visually – it is so easy to believe he is actually a prince bringing miracles. He delivered vocally impeccable performance, and when at curtain calls he specifically thanked prompter, I was wondering if there was the slightest hesitation from him at any moment, then it went unnoticed for most of the audience. 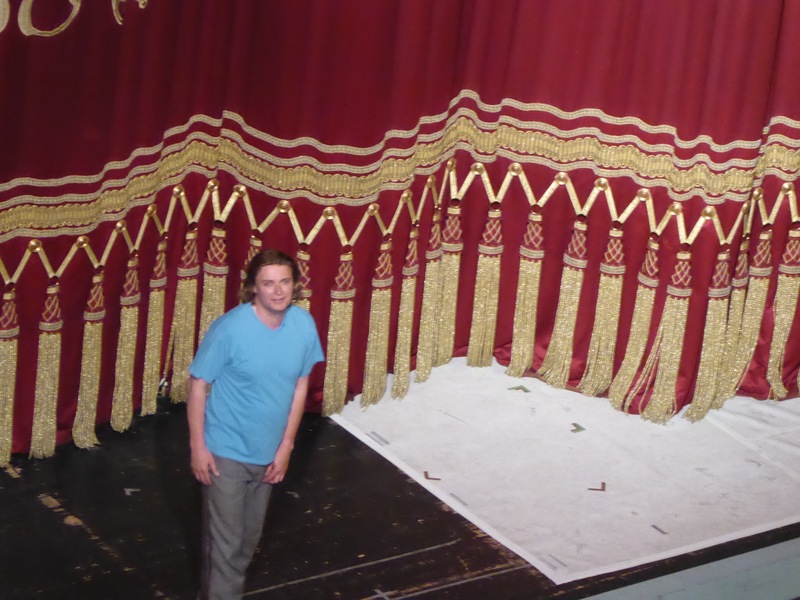 He also got the loudest cheers at the curtain calls, well earned. 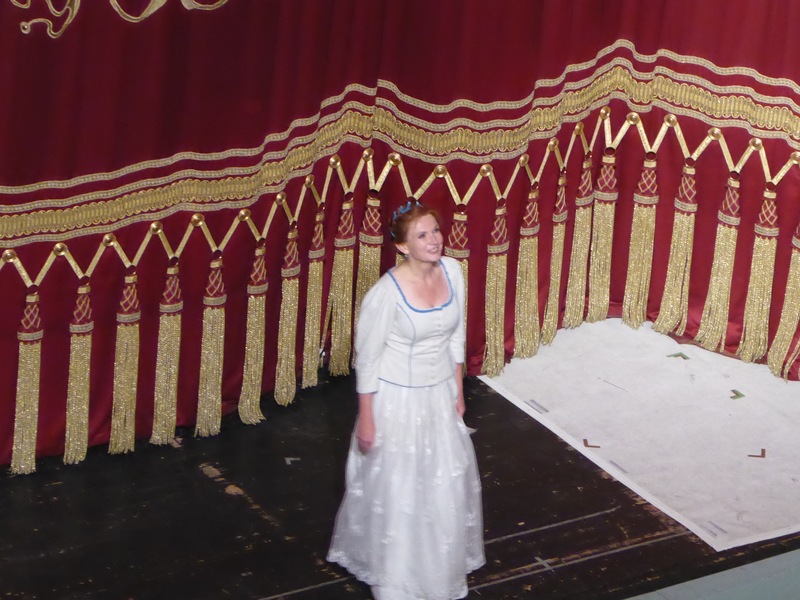 I was eager to hear Evelyn Herlitzius as Ortrud, this is very demanding role, and she delivered it with skill, confidence and a lot of dramatic devotion. Her voice is specifically suited for Wagner and Strauss, and if my previous impression of her as Salome is still vivid, Ortrud convinced that to look for more Wagnerian repertoire appearances by Herlitzius is worthwhile. 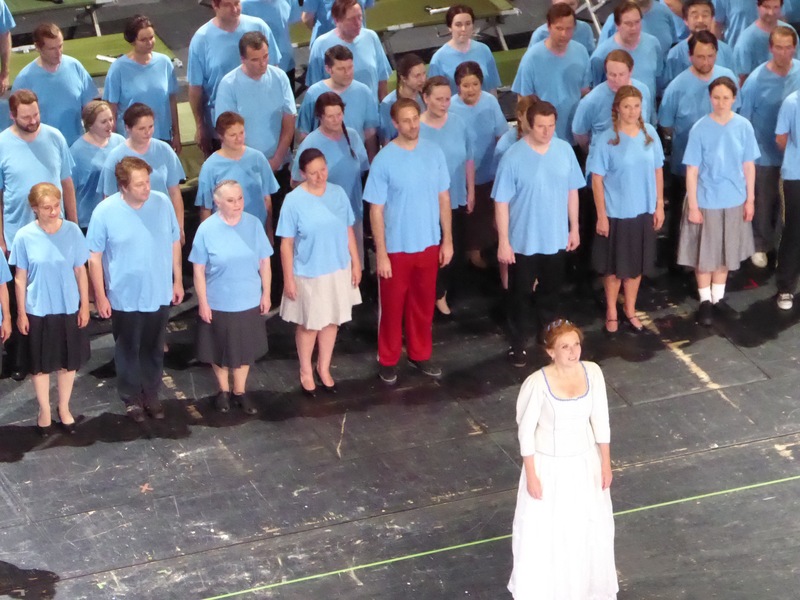 What was Herlitzius advantage – sheer volume, clarity of diction, dramatic immersion, came as disadvantage for another main protagonist, Elsa, sung by Anne Schwanewilms. Her voice did not fill the auditorium, at least on Rang 3 the impression was of a desperate attempt. Her voice is pleasant when not forced, and reaching top notes with extra effort is not paying off as the sound becomes shrieky. Her position was difficult as it is very tough challenge to be on par with such grands like Herlitzius and Vogt on the same stage. 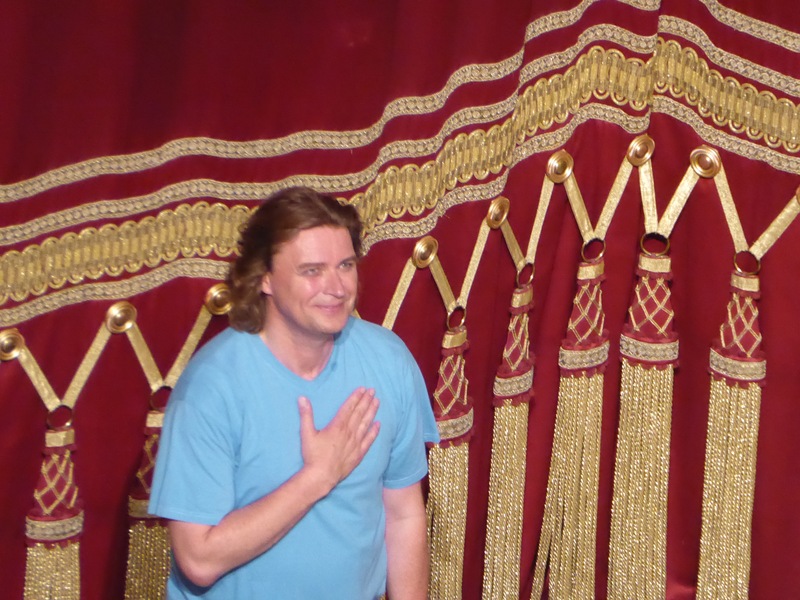 Both Evgeny Nikitin as Friedrich von Telramund and Marcus Eiche as Heerrufer des Königs delivered at their best and contributed considerably to overall ensemble performance. The staging and costumes by Ultz support overall idea of Richard Jones of architecting and building (and destroying) our lives. It is not a miracle, it is knowledge, skill and hard work. 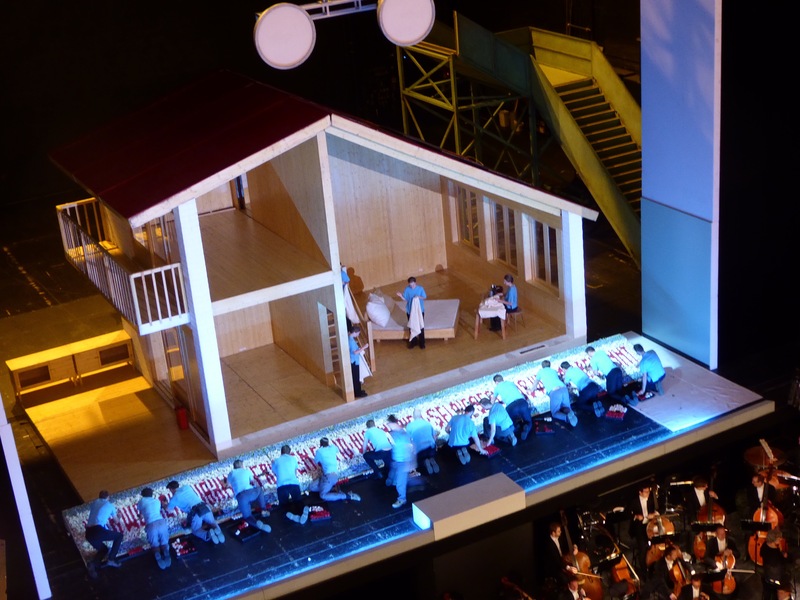 The metaphor used by the director is played throughout the performance and is fortified by appropriate costumes of the cast – Elsa wearing overalls together with other people, Lohengrin in blue t-shirt, in contrast with royal court Brabantians. The house built together by Elsa and Lohengrin is burned down by him in the last act before releasing his identity and ruining the dream future. There is Die Walkyrie ahead this week, so my explorations in Wagner world are continuing – and hope to get more passion for it quite soon. Richard Wagner. Lohengrin. Romantic opera in three acts. 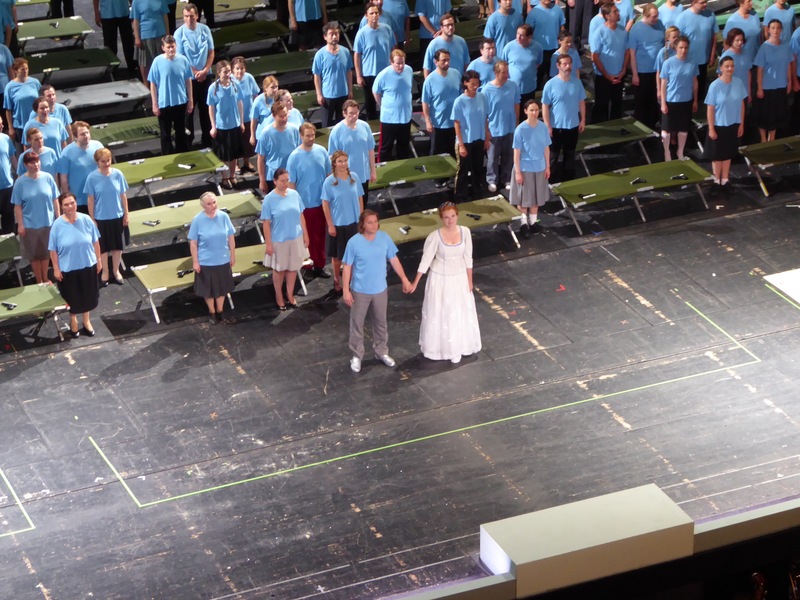 Previous Post: Double take of Nabucco over a weekend. Verdi, Nabucco, Royal Opera House.